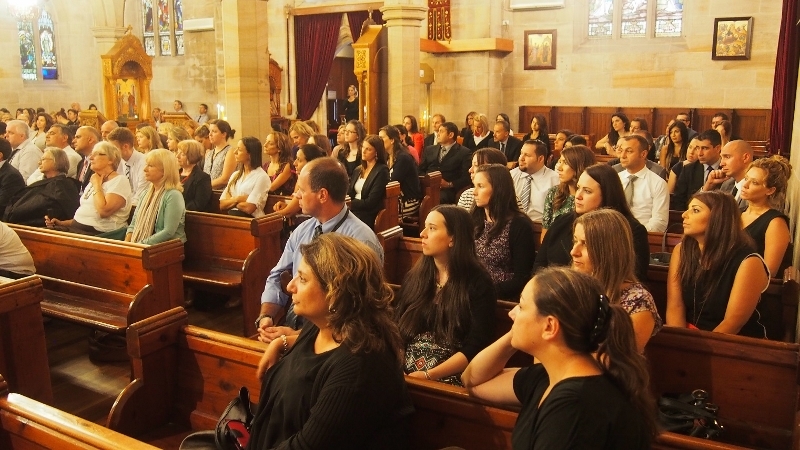 On Tuesday 27 January 2015, St Andrew’s hosted its second professional development day for the teachers and staff of the Greek Orthodox co-education private schools in Sydney: St Spyridon College (Kingsford), All Saints Grammar (Belmore) and St Euphemia College (Bankstown). 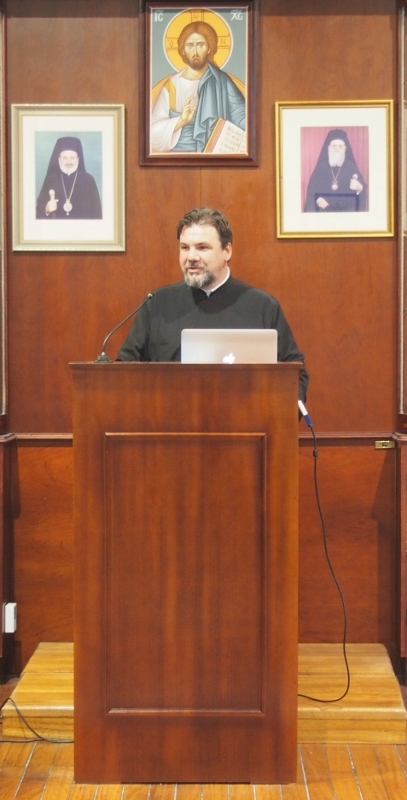 In front of an audience of around 150 people, the event was opened by the College’s Sub-Dean, His Grace Bishop Seraphim of Apollonias. 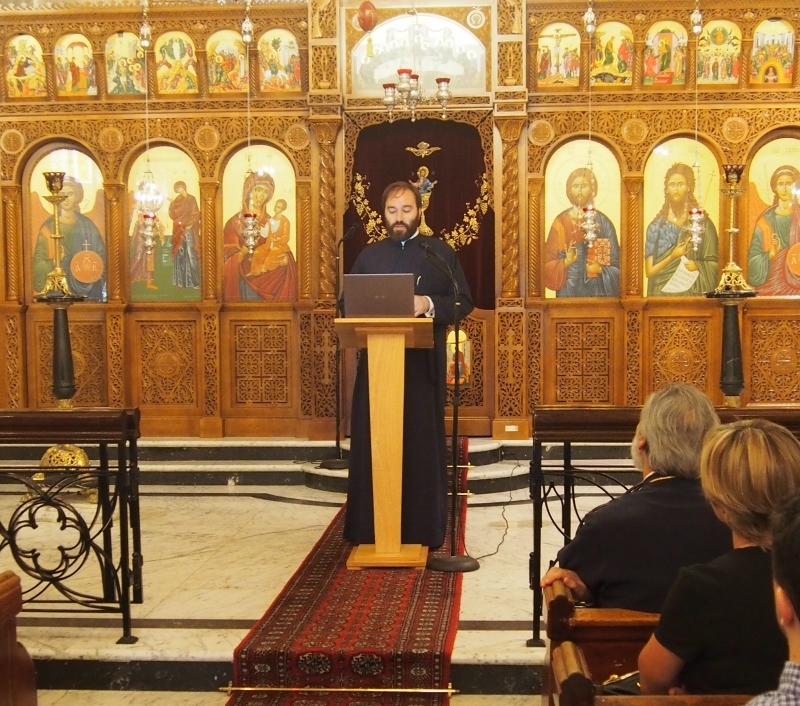 It featured presentations by the Very Revd Father Eusebios (Abbot of Pantanassa Monastery, Mangrove Mountain), the Very Revd Father Dr Doru Costache (Senior Lecturer in Patristic Studies), Dr Guy Freeland (Senior Lecturer in Liturgics and Hermeneutics), and the Very Revd Father Sophronios Konidaris (College Chaplain). The speakers were introduced by the College's Registrar, Mr Anastasios Kalogerakis. His Grace began the day with prayer, and by thanking the schools for their attendance on behalf of His Eminence Archbishop Stylianos of Australia (College Dean). Father Eusebios subsequently identified the challenges posed by secularism to teachers and students who profess the Christian faith, and the need to synthesise academic and spiritual formation. 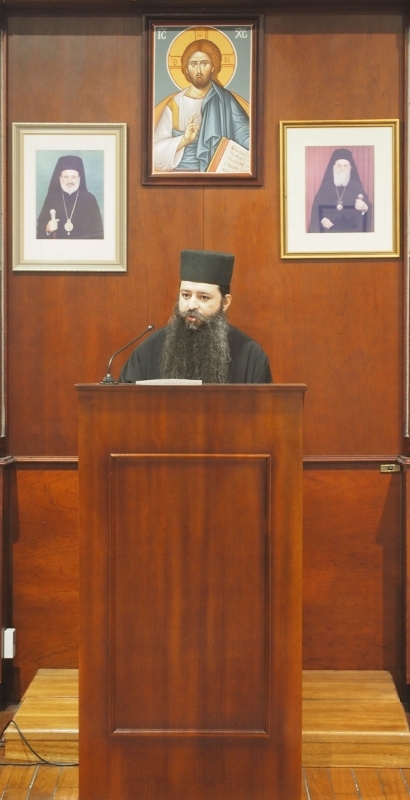 Father Doru then highlighted the traditional values of Orthodoxy, affirming that proper study of both ancient and modern saints is essential for teachers hoping to accomplish their duties more wisely. Dr Freeland in turn examined the Orthodox veneration of the Theotokos, commenting on her depiction within the Gospels, iconography, and the church building. 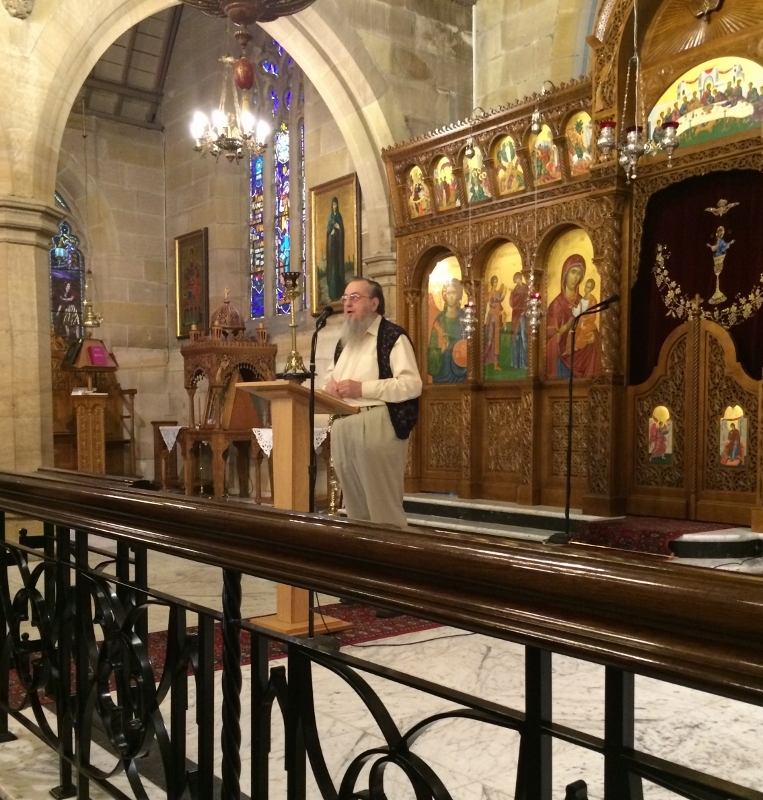 Finally, Father Sophronios assessed the dramatic dialogue that takes place between God and the faithful, on the one hand, and God and the deceased, on the other, during an Orthodox funeral service.